Joan O. Wright, age 86 of Springfield, Missouri, passed away Saturday, November 17, 2018. She was born February 11, 1932 the daughter of Jayle E. (Irwin) and Roger M. Roy. Joan was a longtime Christian County resident until she moved to neighboring Springfield. 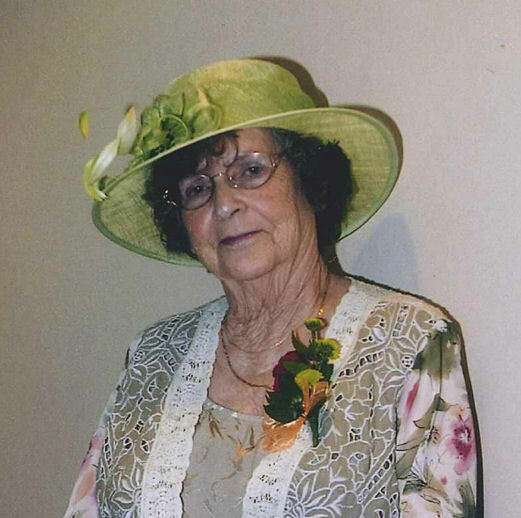 Joan enjoyed working in her yard and growing beautiful flowers but her love for family was her first priority. She lived a simple but good long life and in her later years she enjoyed traveling and reading. Joan was a loving mother to her children, Michael J.McCoy and wife Libbi, Jennifer R. Loo and Timothy M. McCoy. She was a caring Nana to her grandchildren, Angela Hayes and husband Kent, Joshua Eubanks, Samuel Eubanks and wife Ciara, Misti Kittrell and husband David, Megan Crews and husband Adam, Jessica Marks and husband Andrew, Tristan McCoy and Taylor McCoy. Nana is also survived by her great-grandchildren, Chloe Kittrell and Parker and Hayden Crews. Additional survivors include her dear sister, Sue Martin, numerous nieces, nephews and cousins. Joan was preceded in death by her parents and a daughter, Ronna A. Kelly, in September 2001, three brothers and two sisters. We are very sorry for your loss Tim and Robin.. I know Jim thought the world of her. Thank you Mila and Jim. Mike & Libby and family- Very sorry to hear about Joan. She was a sweet lady and we know she will be missed. May God give you peace and comfort.